Regency at Flanders is a new 55+ community located in Flanders, New Jersey. This beautiful active adult neighborhood will boast terrific amenities to bring neighbors together, making Regency at Flanders a terrific option for residents who want a socially centered lifestyle. The clubhouse will also have amenities to keep homeowners in their best shape. Regency at Flanders benefits from its sterling location, next door to a shopping center and near several national parks, historical sites, and a short drive from New York City and Bethlehem, PA. Regency at Flanders has everything active adults in Northern New Jersey could want or need. Current plans call for a beautiful 4,300 square-foot clubhouse. Once completed, the clubhouse in Regency at Flanders will feature a fitness center as well as a great room to keep neighbors physically active and socially engaged. Outdoors, Regency at Flanders will feature several amenities so homeowners can make the most out of the warmer months. A heated pool and patio will be available for soaking in the sun, while some friendly competition can be enjoyed on the tennis, pickleball, and shuffleboard courts. Walking and biking trails will circle around a scenic pond, creating a picturesque scene for morning jogs. Upon completion, Regency at Flanders will contain 227 single-family homes. Active adults will be able to choose from seven models that range in size from 1,827 to 2,679 square feet and offer two or three bedrooms, two or three bathrooms, and an attached two-car garage. Homeowners will love that most homes come with open floor plans, large kitchens, first-floor master suites, walk-in closets, ten-foot ceilings, and stainless steel appliances. Living within Regency at Flanders means enjoying a low-maintenance lifestyle with like-minded friends and neighbors. Spend your days playing tennis, pickleball or shuffleboard. Pick up a new hobby in the clubhouse or simply relax poolside. Thanks to a monthly fee, residents of Regency at Flanders never have to worry about lawn care or snow removal again, allowing homeowners to put down the rake and do as they please. Regency at Flanders is an age-restricted community in Morris County, New Jersey. Around the corner from this community are two shopping centers that feature a Weis Market, fast food and casual restaurants, salons, and banks. Route 206 cuts through the city, giving direct access to Interstate 80. Hackettstown Regional Medical Center is ten miles from the community. For long-distance travel, Newark Liberty International is approximately 40 miles away. Morris County hosts several opportunities for outdoor recreation, with over 150 miles of trails, an ice skating arena, recreational fields, and areas for fishing, boating, and biking. Flanders Valley County Golf Course is right across the street and the county has three additional courses for residents to use. Big-city entertainment is never far away with New York City, Bethlehem, and Newark all just a short drive away, all making excellent day trips. 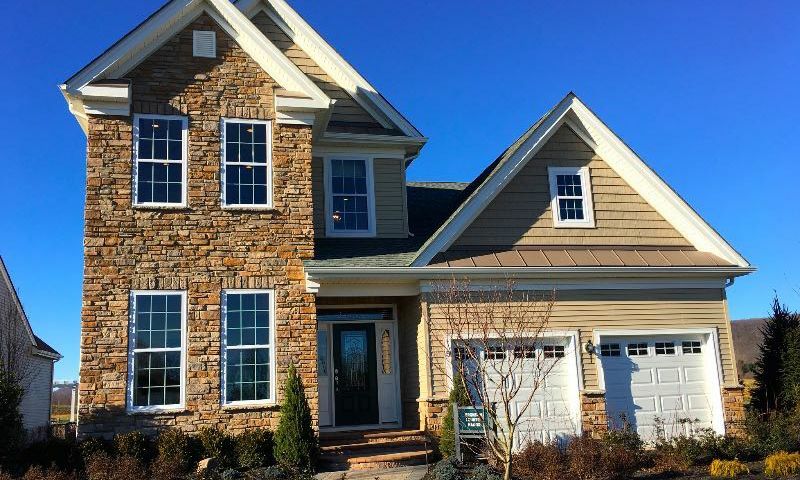 Regency at Flanders has the homes, amenities, and location to make it a terrific 55+ community in New Jersey. Check back soon for more information on the lifestyle in Regency at Flanders. Upon completion, Regency at Flanders will contain 227 single-family homes. Active adults will be able to choose from seven models that range in size from 1,827 to 2,679 square feet and offer two or three bedrooms, two or three bathrooms, and an attached two-car garage. Homeowners will love that most homes come with open floor plans, large kitchens, first-floor master suites, walk-in closets, ten-foot ceilings, and stainless steel appliances. Please Note: Floor plans are not available at this time. 55places.com is not affiliated with the developer(s) or homeowners association of Regency at Flanders. The information you submit is distributed to a 55places.com Partner Agent, who is a licensed real estate agent. The information regarding Regency at Flanders has not been verified or approved by the developer or homeowners association. Please verify all information prior to purchasing. 55places.com is not responsible for any errors regarding the information displayed on this website.